A collection of things to make your Nintendo Mini Classics a bit more fun. Looking to begin and have no idea where to start? Just give this little guide a read. Be aware that although this guide works for both the NES Mini and the SNES Mini, only the SNES Mini supports border and SFROMs. You can safely ignore those bits if modifying your NES Mini. Also note that you won't find any Retroarch nonsense here, this site is all about being pure and playing the way Nintendo intended. The number one essential tool for anyone who wants to mod their SNES Mini or NES Mini in any way. Allows for the upload of new games, the ability to hide existing ones, changing of box art and thumbnails, FTP access, and a whole lot more. You must install this, you won't get very far without it. This version allows for integration of SFROM Tool for more accurate SNES Mini ROM creation. This is a tool for creating .sfrom format files from normal .smc/.sfc game ROMs, for use with the SNES Mini Classic emulator (Canoe). This program aims to make .sfroms as close to 100% accurate as possible, both in terms of byte values/locations and supporting PCM audio/SDA graphics. This program can be run standalone or placed into hakchi2 CE's "sfrom_tool" folder for hakchi2 integration. This is a zip file containing 163 patches to aid with SNES Mini emulation. 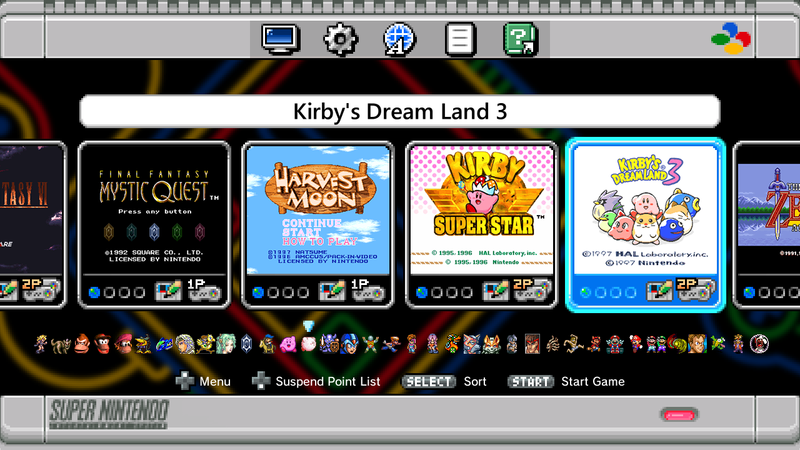 On its own, the SNES Mini emulator can exhibit many problems with added games. The community has come together and fixed many issues, allowing for far more games to run on the SNES Mini than was initially thought possible. This pack is for use with SFROM Tool. Simply unzip to the /patches/ folder and then games will be automatically fixed when opening with the Tool. This is a zip file containing 35 patches to aid with NES Mini emulation. The NES Mini works on a mapper emulation system, and some mappers aren't supported. Many of these patches convert an incompatible game to a mapper that works. Simply unzip to the hakchi2/patches/ folder and then games will be automatically fixed when added. One of the more common problems we come across in the emulation community is confusion caused by headered and unheadered ROMs. These days, ROMs are unheadered for the most part and yet there are some old patches and translations out there that require a headered ROM. Using these patches on an unheadered ROM just causes errors. If you have an IPS that requires a headered ROM, just use this tool. Drag your IPS file on to ipsbehead.bat and it will create a new IPS that works for unheadered ROMs. The best PNG compression tool out there. While this isn't strictly a tool built for Mini Classic use, it's still very handy for our purposes. When you're dealing with limited space, you want to squeeze as much out of it as possible. This tool will take your .png files and compress them (without any loss) to the smallest possible size. Simple drop an entire folder on the tool and let it run. It will do subfolders, too, so you can just drop your entire hakchi folder on it if you wish. It is very slow, so it's a good tool to run overnight. Unlike the NES Mini, the SNES Mini supports borders so we're not left with black space everywhere. Though it comes with a small selection of them, the community has realised that more can be added very easily and thus have made their own. This page allows you to browse borders visually before deciding which ones you might want to add. Please note that you can only have a total of 60 borders installed before the SNES Mini begins to crash and catch fire. Although we have many borders in our collection, you may decide you still want to make your own. This can be a fiddly task, so here's a tool that will do all the hard work for you. Simply supply a direct link to an image and it will create all the images you need for a custom border folder. For best results supply a 1280 x 720 PNG, though it will scale any other size and should work with other file formats too. If you have an image on your HDD, upload it to imgur for linking. Though many people are content with using box art for their SNES Mini frontend, I decided to see what it would look like if we used title screens instead. Pleased with the initial results (which involved cropping the image slightly, resizing, and then cutting off the top corners for the "curve") I got to work on doing it for more title screens than I needed. Right now I have made 899 title screens in this style. Click here for a full-sized look at how it comes out. When initially adding more games, I found I could alter the size of the thumbnails to fit more on the screen. While doing this I realised it might look even better if instead of boxes I used a sprite from the game. As such, I set about making sprites of the size 32 x 32 for this exact use. While I haven't made too many, consider this a starter pack. It's not too hard to make additional ones if you stick to this size. The Spriter's Resource is a superb source of sprites for many games. Currently this pack contains 131 thumbnail sprites. Having done tiles for SNES Mini title screens I decided I would do the same for the NES Mini. This pack contains 792 title screen, all resized, cropped, and corner-trimmed to fit perfectly in the NES Mini UI space. This current version focuses on NES games, Famicom and Famicom Disc System titles will be added later. Much like the SNES Mini, the NES Mini looks good with sprites as thumbnails. Once again they are 32 x 32 and have transparency. Consider this another "Starter Pack", though I do intend to add more, so it's also an early release. Right now it contains 57 sprites, which covers all the games included and a few more popular ones. Again, The Spriter's Resource is your friend if you want to add your own. But yes, I will be adding a lot more to this pack. Finally, here are some links to other Classic Mini things on the internet. ResetEra - ResetEra's main discussion thread for SNES Mini modification. /r/miniSNESmods - Reddit's subreddit for SNES Mini modification. /r/miniSNES - Reddit's subreddit for more general SNES Mini discussion. Romhacking.net Thread - sluffy's awesome Canoe compatiblity fixing thread.